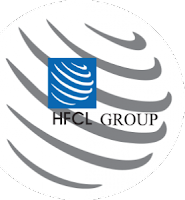 HFCL and Shankar Sharma are in news but for bad reason. Recently Himachal Futuristic Communications (HFCL) rose like Bahubali and then hitting lower circuit from few days. This is not the only reason which can be forgotten thinking market may behave like this. Both HFCL and Shankar Sharma were in news in 2009. They were in news together with Ketan Parekh. India’s capital markets regulator on Friday ordered Shankar Sharma, vice-chairman and joint managing director of First Global Stock Broking Ltd, not to trade in shares for one year. Ketan Parekh, a Mumbai-based stockbroker, was involved in the stock market scam of 2000-2001. Parekh allegedly rigged share prices of firms in collusion with promoters through circular trading. Under this method, sell orders are entered by a broker who knows that offsetting buy orders for the same number of shares at the same time and at the same price have either already been or will be entered. As a result, these trades don’t represent any change in the beneficial ownership of the security. In December 2003, Sebi banned Parekh and associated firms from trading in the market for 14 years. In its order against Sharma, the regulator said that First Global and a Sebi-registered sub-broker, Vrudhi Confinvest India Pvt. Ltd, had made large transactions in 10 securities that Parekh had used, such as Himachal Futuristic Communications Ltd, DSQ Software Ltd and Zee Telefilms Ltd.
SEBI bans Shankar Sharma for 1 year. Market regulator SEBI is too efficient to do anything. It is like TRAI which just enjoy its life. Recently TRAI has been seen doing some work though. Shankar Sharma has been banned in 2001 too. A famous blog is also quoted for this HFCL story. This blog mention Shankar Sharma as one of the most regarded value picker of India market. This is not the first time this blog Shankar Sharma like that. This blog's mention of Shankar Sharma has impressed me too. I understood him as a very high quality small Cap value picker. But now I need to be careful. The blog must have mentioned him in some way about this involvement in past when they talk so big about him. In normal case, if they think, Shankar is a good man now and that was his past then they could ignore that past! Porinju Veliyath also recommended HFCL recently. He has a very big fan following. He is also being asked by his followers.